What Are the U.S. Federal Sentencing Guidelines, and What Do They Mean for Your Colorado Criminal Case? The U.S. Federal Sentencing Guidelines are rules that establish uniform sentencing policy for individuals and organizations convicted of felonies and serious (Class A) misdemeanors in the American federal court system. Although Colorado state laws might influence sentencing outcomes for lesser charges, these guidelines indicate the likely sentencing outcome if you are convicted of a Class A misdemeanor and/or felony at the end of your criminal case. Sentencing guidelines consider both the seriousness of the offense and the offender’s criminal history. There are currently 43 levels of offense seriousness, with the offense level corresponding with the seriousness of the crime. Each type of crime is assigned a base offense level, which is a starting point to determine the seriousness of a more specific offense. For example, trespassing is assigned a base offense level of 4, while kidnapping has a base offense level of 32. For example, if the offender only minimally participated in the offense, the offense level is decreased by four. Alternatively, if the offender obstructed justice, the offense level is increased by two. A judge may also reduce the offense level by two if he or she believes the offender has accepted responsibility for the offense. Federal Sentencing Guidelines are reviewed and updated every year, and the changes therein can even retroactively apply to previously-sentenced offenders. Toward the end of 2015, the U.S. Department of Justice began the process of releasing roughly 6,000 inmates from federal prisons under new sentencing guidelines. These guidelines lowered minimum sentencing standards for nonviolent drug offenses, which were particularly harsh during the crack/cocaine epidemic of the 1980s and 90s. 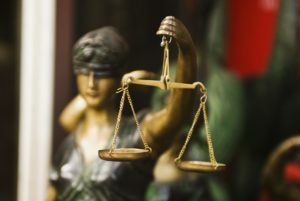 To learn more about how these guidelines apply to the specific factors in your case, we encourage you to reach out to a trained and experienced representative at the Gasper Law Group. Call today and schedule a free consultation at 719.227.7779.